"The right tools are just as important as the makeup itself" said Bobbi Brown. There was a time when I did not have makeup brushes (well, I wasn't too much into applying makeup back then), but I have been adding some to my kit for a while and I totally understand what the first line means now! Here's the Real Techniques Stippling Brush! #LipHugs.. where were you all my life?! Coming in 20 saturated hues, these lipsticks come in every colour you could wish for. Reds, oranges, pinks, maroons, nudes, sab hai ji! Before I do the bhaanda phod, I think regular readers must have rightly guessed what shade I chose. So many products are being launched every other day now, but every once in a while there comes a product that catches your attention so brilliantly...that you leave other things and make a quick run to the nearest beauty store! The latest launch by Maybelline, Fashion Brow Duo Shaper was one such product that got me really excited and I just had to try it out! Blame the lack of brow grooming products in the Indian Market. Well done Maybelline! We finally have one! 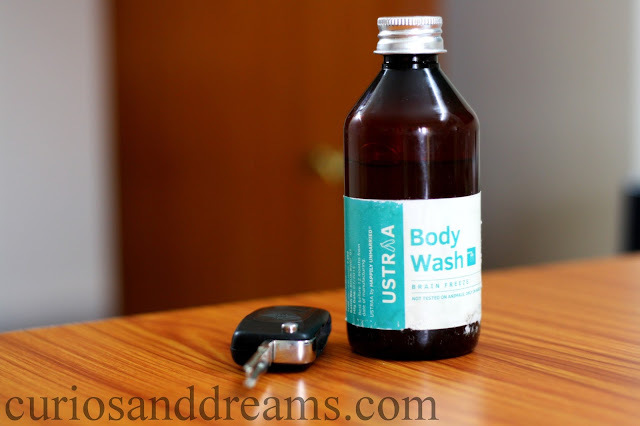 Ustraa, a flagship brand of the e-commerce venture Happily Unmarried might have just figured out the sweet spot between nostalgia, everyday luxury and essential male grooming. bottle and comes in a strong plastic bottle which has a very 90’s feel to it and sure to remind you of the old cough syrup bottles. The Body Shop Celebrates Tea Tree Oil's 20th Anniversary! Hello all! 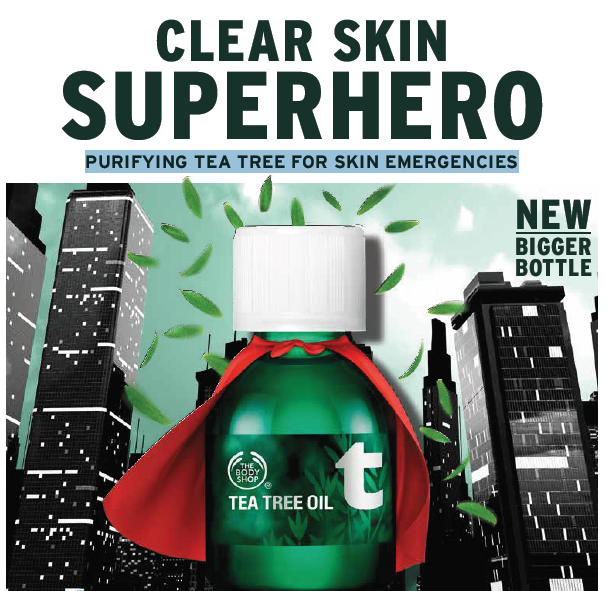 As most of us already know, The Body Shop is celebrating the 20th anniversary of Tea Tree Oil which is considered to be a complete superhero by so many! Did you know that that one bottle is sold every 8 seconds?! WHOA! Alex Kroll, very eloquently puts it “Getting ideas is a bit like shaving, if you don’t do it every day, You’re a Bum.” The more that is said the less it suffices to emphasize the importance of a great shaving cream. It does help one start their day after all. There are so many different spot fighting products available in the market now that most times it can get a super confusing and a bit overwhelming. For a person like me, who has been fighting blemishes and acne most of her life (and I still do), I have tried most products that claim to make those zits go away. Let's be honest now, most of them just don't work. I have been having absolutely terrible breakouts off late and have been trying a lot of things to get it under control. I still haven't been able to figure out why I am breaking out so badly, but a few products have helped me keep things under some control. One of them is "Dream Dots"